Our time-proven EMP-SD-SF Knife Cut Bagel Divider is the most efficient, reliable and easiest to clean system on the market today. It gently cuts your dough without punishment, quickly and accurately. 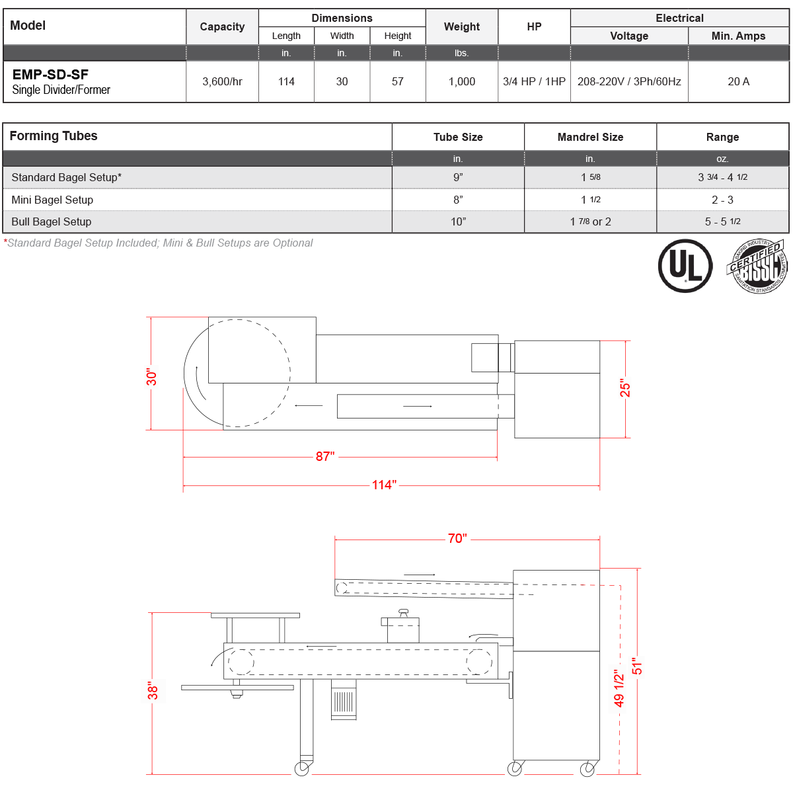 Our EMP-SD-SF stainless bagel former is easy to operate and a snap to clean. 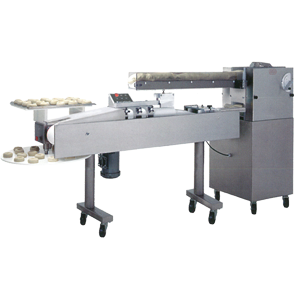 Together, they make up the industries top selling and most reliable bagel production machine on the market. 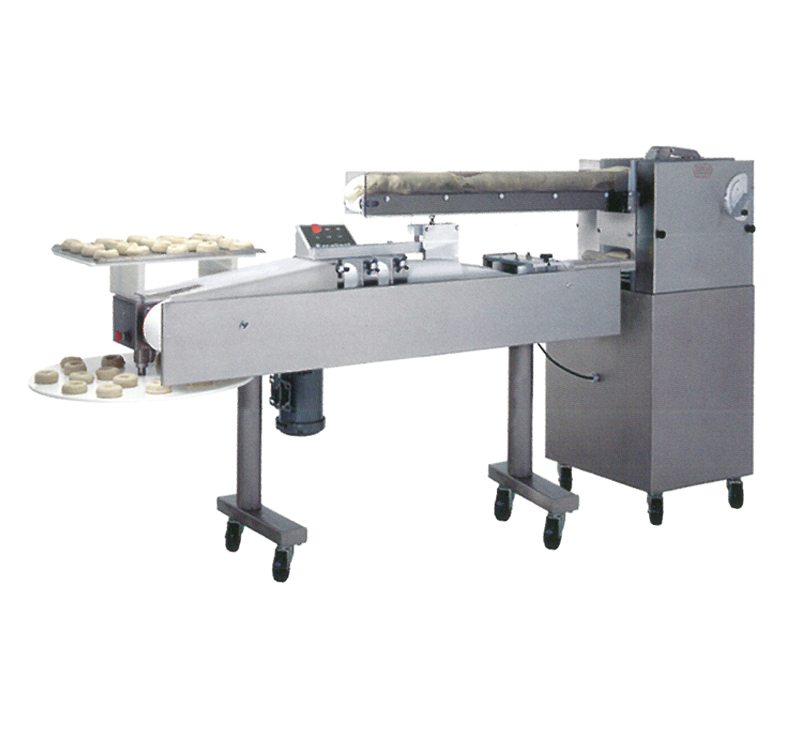 The industry standard for retail, food service and small wholesale operations, the EMP-SD-SF Bagel Machine produces up to 3600 consistent bagels per hour. 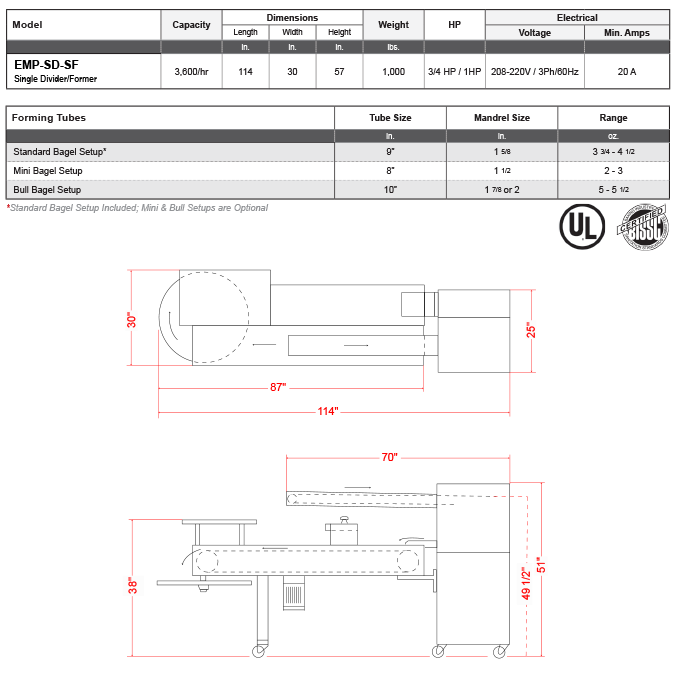 Available with a variety of mandrel and sleeve sizes to produce "minis" and "bulls".